For those of us dedicated to going paperless The Beginner's Guide To Going Paperless With A Mac, iPad and iPhone The Beginner's Guide To Going Paperless With A Mac, iPad and iPhone I don't have the stats to prove it, but I think the money I save by going paperless practically pays for my Apple devices. 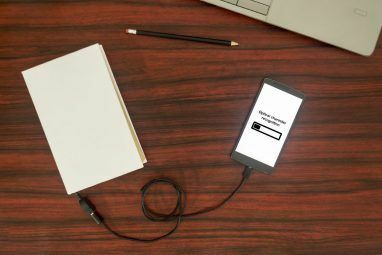 Read More , the ability to scan documents and have the text recognized and converted to text is an essential time saver. 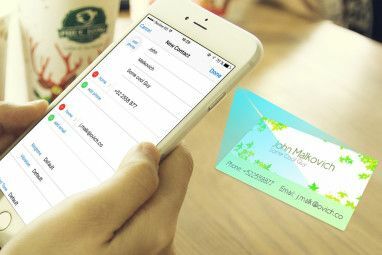 There are many iOS apps that scan and manage documents Scan & Manage Your Receipts, Save Space, Paper & Time Scan & Manage Your Receipts, Save Space, Paper & Time Paper receipts are easily lost and hard to find when you need them most. Thankfully, going digital solves both of these problems. 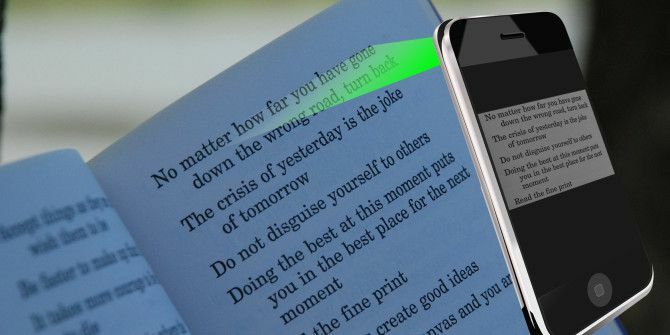 Read More , but apps with optical character recognition (OCR) are a little more difficult discern for their features and effectiveness. That’s why I tested seven different apps and shortlisted three for this review. For this article, I scanned the same document with each app under review, and the results of the scan can be seen in the included screenshots. For best results with OCR and text conversion, the document or page in a book should be flat as possible in the capture process. Shots taken under well lit ambient lighting conditions are preferable to using a flash, but flash can help as well in certain conditions. Photographs of text may require photo enhancements and conversion to greyscale to improve the results of the resulting recognition. In all of the apps I tested, none were able to retain the formatting of the original text perfectly, so in most cases further text editing will be required. The free version of CamScanner provides basic tools for scanning documents and converting content to text, which is searchable within the app. More advanced features, including the ability to edit and collaborate are included with a premium subscription for $4.99 per month or $49.99 for the year. CamScanner provides both mobile and website support for syncing, backing up, and sharing scans. The app also includes a variety of features for rotating and cropping photographed documents, and the tools for enhancing images or converting them to grayscale. A document in CamScanner can consist of more than one document. In my test, CamScanner makes the best scans of evenly lit documents with no shadows covering the page. The flash may also be helpful for extra light, but it’s not useful for glossy magazine pages. CamScanner also performs best when capturing just a few paragraphs at a time. I tried a few times to scan an entire page of a book and the OCR feature failed to recognize nearly all the text. The scanning and OCR process requires three taps, in addition to cropping out areas you don’t want scanned. For making several scans at a time, CamScanner’s smart cropping and enhancing saves the time it takes to manually set up and enhance the scan. CamScanner also allows users to fax and print documents via AirPrint, export to PDF, and open selected content in other iOS apps. The Mac version of PDFpen has been around for quite some time, so I was eager to see what the iPhone version could do. Scanning the same document that I used for testing CamScanner, the OCR version of PDFpen Pro failed miserably, even though I tried several times to adjust exposure and contrast of the shot. While it highlighted the text, the results were gibberish. I had to copy and paste the results to a new file just see the results more clearly. It did work a lot better, however, when I took a shot of text on a white background. In fact it retained the formatting better than the other apps I tested. However, when I exported the text from PDFPen to Mail, much of the formatting was lost, and it didn’t do as good a job as Pixter Scanner. PDFPen has received mixed ratings in the iTunes store, and after several attempts to use the app, it just didn’t perform as well the other two apps. Pixter Scanner OCR provides a straight forward two-tap process for scanning a document and extracting text from it. It can recognize plain text in more than 32 languages, and it allows for editing text scans. As with other OCR scanners, Pixter Scanner includes a cropping tool to focus the portion of the image you want Pixter to recognize and scan. Unlike other OCR scanners, however, Pixter doesn’t feature a tool for rotating a scan. Pixter also fails at scanning entire pages of text. I found it works better when document captures are taken with the phone in landscape position (since there is not rotation tool) of just a few paragraphs at a time. Pixter requires five taps, including cropping, to complete the OCR scan process. All transcribed text can be found in the “History” folder, where conversions can be re-opened, scanned, edited, and shared to other apps including Mail, PDF, Dropbox, Evernote and social networks. Tapping on the “eye” icon a text scan reveals the original image. The lower-right icon of Pixter enables you to translate a selected text scan into more than 60 languages. I researched several other scanner apps that purported to do OCR transfer, but they were either overly difficult to use or the results of the scan were very poor. A few apps resembled the same user interface and features of Pixter, with nothing that resembled the results seen here. For its cost and quality of scan, I recommend trying Pixter. 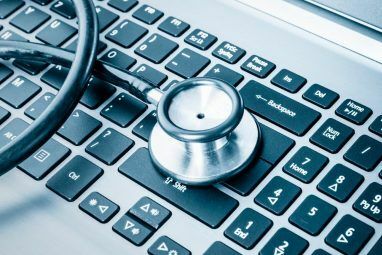 If you need more features, such as backing up and collaborating on documents, CamScan is another good choice, though its premium in-app purchases are costly. Let us know what you think of these OCR scanners, which solution you are using that works effectively. Explore more about: OCR, Scanner. Thanks for this review. Pretty disappointed with the current state of the art, especially when I'm looking for something that can read and convert my handwritten notes! I simply want to take a picture of my receipt, the scanner pull the date, amount, company, and the items purchased. I want to use this at end of the year for taxes, so totals would be nice and need to keep the receipts incase I need to make a return or the IRS needs to see them. I have tried to use several apps, but they just simply do not pull the items purchased, or pictures are terrible or they don't move them to PDF/Excel. I had OneReceipt and it was great, by they discontinued. I have spent 5 days trying to find something. Give OFFICE LENS a shot. I discovered it yesterday after the apps in this article didnt quite do the job for me and kept looking. Its free and did a near 100% ocr accuracy for regular printed pages .. haven't tried receipts though. I am not sure if links are allowed, but for those struggling to find that golden app i was talking about. Let me say, i got really tired of all these scanners, even if there is slight color change. it cannot translate at all. OCR - Scan text from camera. red logo, made by Gressquel. its not easy to find it, but worth it. You should try the LEADTOOLS OCR App - it's unrivaled in speed and accuracy. Numerous recognition settings as well as export file types such as Text, DOC, PDF, And more. The app is free of charge, ad-free, and built using LEADTOOLS SDK which provides the most comprehensive and powerful OCR SDK technology in the business. Hi! Could you suggest a strong OCR app/software which doesn't need integration but can export data to an excel sheet? There is a new OCR app that is powerful yet very simple to use, it is called OCR Instantly and is available free in the app store. Timely piece , I loved the details , Does anyone know if my company might obtain a fillable MI Statutory Will example to fill in ? I've had good luck with the Pixter app on my iPhone 5. Upgraded to the iPhone 6 and tried Camscanner, very frustrating, took multiple pictures at different settings and the OCR failed miserably. I'm going back to Pixter. Thanks for letting us know this. I'll have to check it out. Bakari, thanks for the answer. I'll check them out. Can I assume that most or all of these will also work on an iPad 2 (ios 7)? Joe, I would have to go back check. The left side of the iTunes page for an app, it should say whether or not the app is optimized for the iPad. My suggestion is to download a free version of these apps and try them out on your iPad first. Thanks a lot for this detailed review Bakari! May we also suggest you 2 nifty OCR apps? You should give a try to [Prizmo](https://itunes.apple.com/ca/app/prizmo-scanning-ocr-speech/id366791896?mt=8) and [Abbyy TextGrabber](http://www.abbyy.com/textgrabber_ios/) which do a good job when it comes to scanning documents. I like Prizmo. OCR in my tests so far is relatively good. Steve, thanks for letting us know about Prizmo.